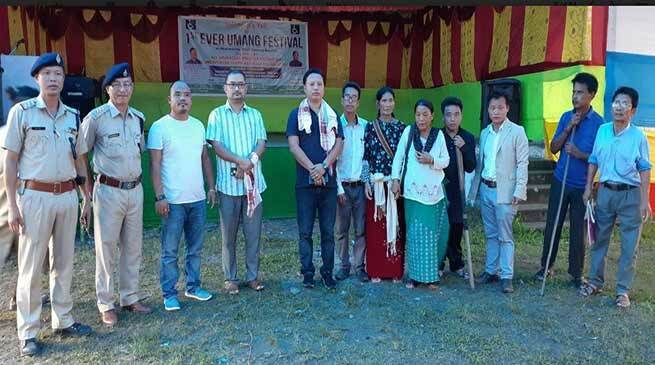 Parliamentary Secretary PHED , Economic & Statistic and Thrizinor MLA Kumsi Sidisow while attending a function of Divyangja appeal them to join hands and become the part of state development with economic sustainability and family welfare. Addressing the gathering , he said that god have created all of us equally but due to certain reason one cannot cope with the normal activates but now the world have developed all types of technology and now every one can become skill through various mean and earn for their livelihood and family welfare and can become the part of state development. Every body are equally born to die but one can earn for livelihood through skill if he or she is trained various skill various skill development programme run by state and central government for all section of society. He also interacted the members of the organisation and other local committee members and assured all support from his end. “He even motivated them by telling you are not handicapped or disable but you are differently abled. God has given you other talents which so call normal people don’t have. Take your disability as a challenge and show to the world that you are a part of the Society and you fit In.” Sidisow added. Bhalukpong EAC Tamo Riba, SDPO S.N. Paicheliupia among other address the gathering and take part in the celebration which include literary competition, cultural, games and sports competition among the members.